On November 25, 1925, the parliament of Turkey passed a law prohibiting citizens of that country from wearing a fez in a public space. The widely worn rimless hat had been an important part of the culture for nearly one hundred years, initially stemming from an 1829 decree by Ottoman Sultan Mahmud II that all civil officials and military personnel were required to update their headwear to the fez. 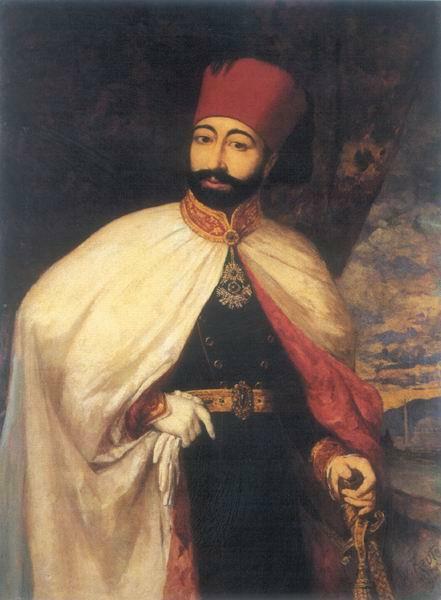 The move was part of a larger effort to modernize the Ottoman Empire, similar to Peter the Great’s grand plan to westernize Russia by taxing the beard. Though there was some resistance at first, the people more or less responded well and by the end of the century, the fez had become not only standard headwear, but also a beloved national symbol. And that’s what led to the Hat Law. 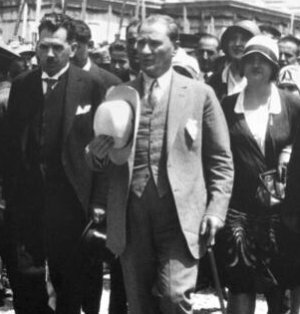 Prior to its passage Turkish leader Mustafa Kemal Atatürk spoke passionately of his vision for the burgeoning nation of Turkey, which, he demonstrated, included the wearing of Panama hats, which he thought were much cooler. Alas, the public already thought it looked pretty good wearing a fez and was not prepared to embrace yet another change to its attire. Instead of immediately casting aside the fez in favor of the rakish fedora, pockets of the population rose up in revolution. The uprising didn’t last long, and it didn’t go particularly well for the revolutionaries who adopted the fez, formerly a symbol of reform, then a rallying cry for proponents of Turkish cultural conservatism. More than thirty people, both men and women, were executed in the course of Turkey’s brief Hat Revolution. And though it is rarely enforced with much gusto today, the law remains on the books in Turkey, where it’s been for ninety years, even during the rise and fall of the casual European man lounging in a smoking jacket and matching fez. I have to say, as far as symbols of cultural tug-of-war go, the fez is a pretty cool one (unless it’s paired with a smoking jacket, which most people can’t pull off). And I suspect that may be one of the reasons the online arts and literary journal Red Fez adopted it. Because in 2002, magazine founder Leopold McGinnis decided to rise up against the well-guarded path to traditional publishing and provide writers with a new opportunity to get their imaginative work out there for public consumption. Within a few years (with the help of additional artistic revolutionaries) Red Fez expanded to include not only fiction and poetry, but also comics, photography, music, and videos. And it became a really cool Internet hangout for artists of all types (like maybe even cool enough to pull off a smoking jacket). That’s one cool artsy hat. The magazine is published monthly and to date has served up “1,481 poems, 568 stories, 114 graphic works, 70 videos, 35 audio works, 424 articles and reviews from 1302 authors and artists around the world.” And this month, among the creepy artistic offerings of Issue 83: October 2015, The Halloween Issue, there is a story by a little known practical historian. The story is called “Elixir of Life.” It’s not of a historical nature, but I hope you’ll follow the link and enjoy it anyway. While you’re there, don your fez and coordinating smoking jacket (you’re cool enough to pull it off) and hang out for a while because there’s a lot of good stuff to soak in. Fascinating stuff. I love reading these kinds of historical tidbits. And your short story on the Red Fez site about the elixir of life is great. You Elixir story gave me a boost. I’ll have the watermelon and apricot phial next! If I had any I would be very happy to pass it on. I was thinking as I explored Red Fez that it might be a good home for a Bruce Goodman story, if you ever felt so inclined. Many of their stories lean toward quirky flash. I always enjoy your quirky snippets of history, and that’s a great story on Red Fez, too. Well done! I had no idea there had been a fez revolution! Wow! I do think the smoking jacket is a step too far… but what about pairing a fez with a bow tie à la Doctor Who (Matt Smith)… because fezzes really are cool! I think I could get behind that. I do appreciate a nice bow tie.